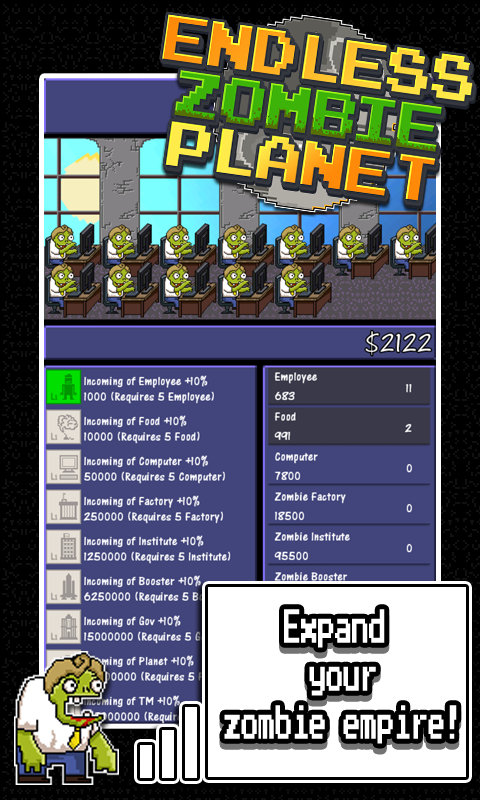 Expand your zombie empire! Be prepared for endless hours of fun and entertainment! 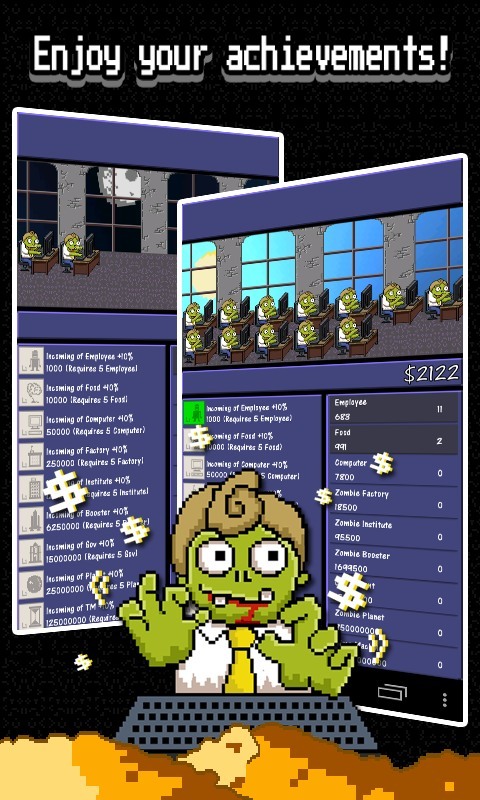 The game is very simple: - Hire as many zombies as you can. - As soon as you have enough money take a trip to the shop and buy upgrades to earn money even quicker! Upgrade your technologies! Enjoy your achievements! 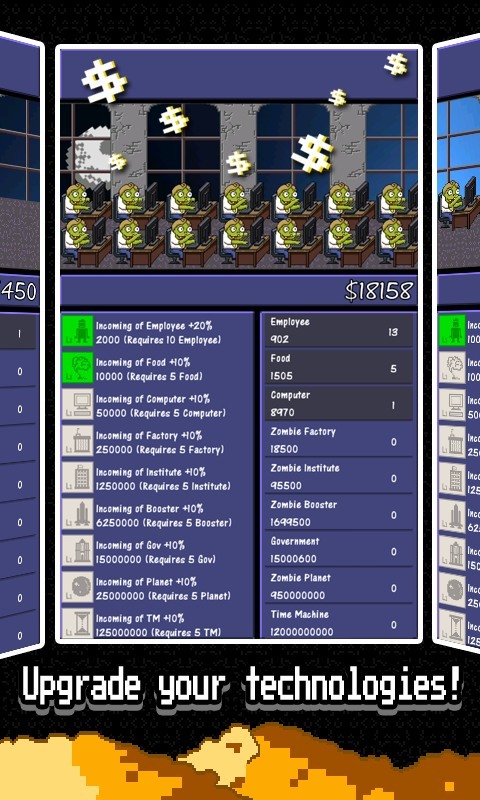 GAME FEATURES - Fun-looking and pixel style Graphics - VERY EASY to PLAY - DOWNLOAD and play for FREE!! !